During the economic crisis after the 1st World War groups migrated to South America exactly to Argentina. After Hitler's takeover of power in 1933 the persecution of Jews started and the suppression of any opposition. Those who recognized the danger in time left the country. 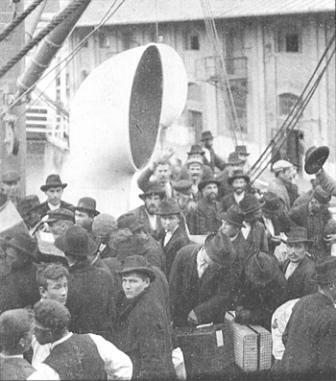 In the post-war period, after 1945, there was the economic prospects for another emigration wave. Among the emigrants were also perpetrators of the Nazi regime, such as Adolf Eichmann, Franz Stangl, Josef Schwammberger, Josef Mengele, Erich Priebke, Aribert Heim, Ludolf von Alvensleben.